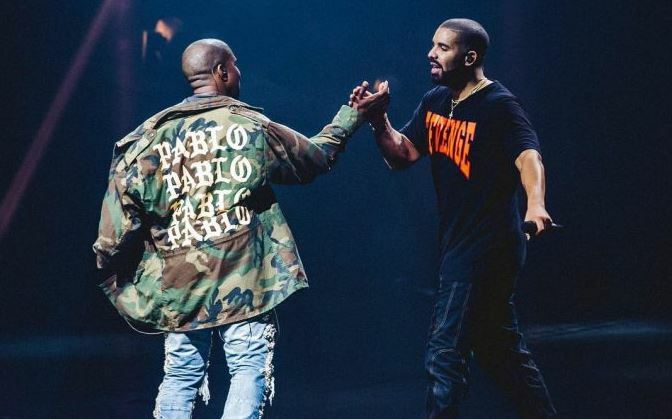 In a surprise move, Kanye West has reached out to Drake in a series of tweets to apologize for the way things went about between the Toronto superstar and his G.O.O.D Music artist Pusha T.
Kanye also revealed that Drake was originally meant to be featured on his song ‘Lift Yourself‘ but it was later released without him, something he shout not have done. Last week, Drake took shots at Kanye during the Chicago stop of his Aubrrey & The Three Migos tour. Yesterday, a snippet of an upcoming French Montana and Drake song surfaced where the Toronto rapper is offering jabs at Kanye’s Yeezy 350 shoes. Read Kanye’s complete explanation below.